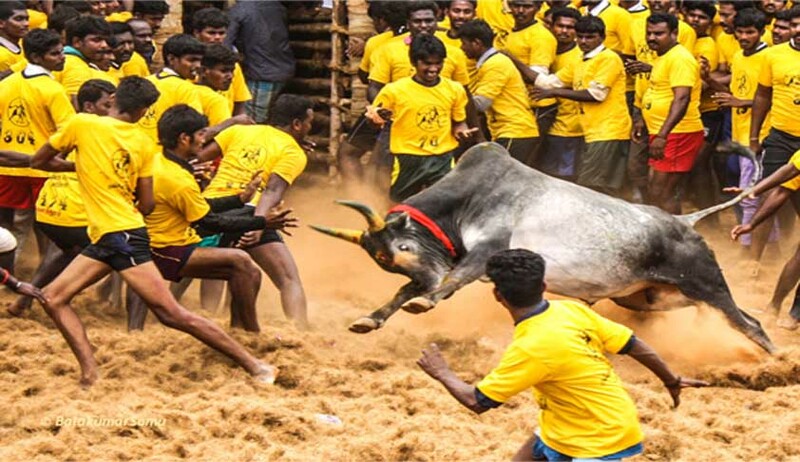 Supreme Court today rejected the plea filed by some residents of Tamil Nadu for vacatings yesterday’s order staying the Centre's notification lifting ban on the controversial bull-taming sport Jallikattu in Tamil Nadu. A bench comprising Justices Dipak Misra and N V Ramana said that yesterday's order by which the Centre's notification was stayed doesn't warrant any alteration. The bench said it was unimpressed with the submission that Jallikattu should be allowed under the strict supervision of this court. The Supreme Court had yesterday stayed Centre's notification lifting ban on the controversial game as an interim measure. The court rejected the plea of Ministry of Environment and Forests (MoEF) and Tamil Nadu that Jallikattu is part of the ancient tradition and culture and should not be stopped as there were enough safeguards provided in the January 7 notification. “As an interim measure, we direct that there shall be stay of notification dated January 7, 2016 issued by the Ministry of Environment and Forest (MoEF)”, a bench of Justices Dipak Misra and N V Ramana said while issuing notices to the Centre and others on a batch of pleas challenging the notification. A battery of senior lawyers including K K Venugopal, Anand Grover, C A Sundaram and Siddharth Luthra sought an interim stay on MoEF's notification citing relevant portions of the earlier apex court judgement and said that in the 21st century, an animal cannot be subjected to cruelty in the name of culture and traditions. Attorney General Mukul Rohatgi, appearing for the Centre, opposed the plea saying no fundamental rights of any of the petitioner bodies have been violated and moreover, the notification provides for measures to ensure that no bulls are subjected to any kind of cruelty during Jallikattu. Jallikattu is not a bull fight of Spain where either the bull or the man dies, Rohatgi said, adding that the taming of bull in this sport is done without any instrument or weapon. In this Jallikattu, a man may die but the bull can't, he said, adding that the court has to balance the culture and tradition. He said the apex court may ask the District Collector or the Commissioners to supervise Jallikattu and file report in this court.